I have always admired writers who weave real life incidents into their stories. Even when they call their manuscript a work of fiction, there is a strong trace of a real incident/event/ in their stories. I wish I could do that. Infact, one writer told me she looks through the newspapers for inspiration for her stories/novels. According to her the newspapers are full of happenings, interesting incidents and small news items that trigger ideas in her head. When she confessed this to me, I gulped. I definitely read the lead news, but other than that, my eyes just skim/glaze through the rest of the paper. Infact, you can even accuse me of missing many a small news and features all the time. I have decided that I will take a page from her book (I know I won’t find inspiration for my Middle Grade stories in the newspapers.) But I am going to spend some time every morning reading the newspaper, glance at the rest of the stories which don’t make it to the first page. Who knows what ideas this may trigger. Though I do advise my creative writing students to read the newspaper daily, I don’t follow what I preach. I know it’s bad of me. But it’s going to change now. Here comes my question now. 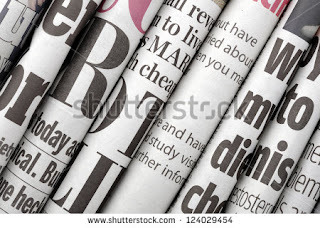 Do you all read the newspapers and by that I mean actually read (and not just glance through it)? Another question, if you were to weave a real life incident in your story, which would it be? P.S. We get so many newspapers at home, just imagine the vast number of story ideas I must have missed. Sigh. Will be careful now. P.P.S. As I am taking a short break, this will be my last post for 2015. 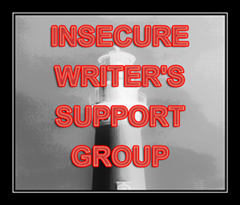 I will be back on Wednesday 6th January 2016 with my first IWSG post of the year. Take care. Wishing you all a Merry Christmas and a Happy New Year in advance. Labels: Newspapers. Stories. Ideas. Middle Grade.